I really don’t have anything against cows. They seem like such nice beings, staring at you lovingly with those enormous eyes. Honestly, extended eye contact with a big cow is cosmic! It’s true that I don’t like eating cows. But I don’t think they like me eating them, either. And I want nothing to do with their toxic milk. But, again, I don’t really think they are that keen on my sharing their milk. Actually, I’m guessing they are pretty offended by my even suggesting they should over-breed so I can milk them into oblivion. And as for the bovine boys – who really wants those odds for a decent life expectancy? I do have a problem – a couple of them – with all those cattle grazing and farting and belching and pooping in the eastern acres of my state. Pooping in the streams befouls the water quality. And farting befouls the air in unhealthy and untoward ways – methane comes to mind as one particularly problematic contribution to the atmosphere. And, not to be greedy, but feeding cattle uses a ton of fertile acreage and crop-raising energy that prevents any possibility of feeding 7 billion earthly brethren. No. Frankly, I don’t give a rat’s rump about all those critters. Oh, I don’t condone torturing and senselessly slaughtering animals. But, if we humans were omnivore or carnivore in our anatomy, I would be the first to rip apart a big cow with my fangs, as any self-respecting carnivore would. But until our anatomy changes, that wouldn’t be very healthy for me. 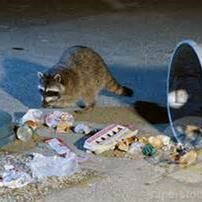 Otherwise – I don’t give a rat’s rump about those animals that are competing for my food supply. I do care a lot about the hundreds of millions of my fellow humans who face hunger, even starvation, on a daily basis. We need to save some fertile soil for them.